Specialists in Executive Recruitment for the Direct Selling Industry across the UK and Europe We are experts in handling Senior and Middle Management appointments across all disciplines, and have built our reputation by offering market-researched, well-informed, genuine and honest advice. As a Client, we work hard to understand your culture, challenges and business strategy so that we can really add value to your business. As a Candidate we customise our approach so that we can match your career requirements and aspirations. If you are looking for an innovative, confidential and professional approach to Executive Search and Selection, then look no further! 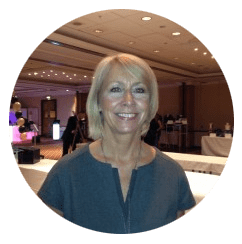 Pam Anthony Recruitment was founded in 2000 to bridge a big gap in the talent acquisition market for the Direct Selling industry – when the industry was still a largely unknown commodity that high street recruitment agencies didn’t really understand. Founder and Managing Director Pam Anthony had worked for the previous 20 years in increasingly senior Sales & Marketing roles within Direct Sales, and brought with her a huge passion for the industry, backed up with extensive knowledge of the market, an exceptionally good memory for contacts and supreme networking abilities! 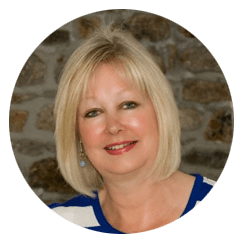 Sue joined the business in 2003 bringing with her many years of experience and expertise in Marketing and HR Management gained outside of the industry. The Company has won the coveted DSA Supplier’s Award 3 times (in 2018, 2011 & 2008 and were runners-up in 2007) ‘in recognition of the outstanding service they provided to DSA Member Companies’. The Company has certainly evolved since its launch and now provides a multi-faceted, one-stop recruitment service to their Clients and Candidates. However, their Vision and core Values have remained the same: to consistently exceed all of their customers’ expectations and apply their distinctive style and approach to building long term business partnerships whilst delivering a premium and seamless service. Pam is Managing Director of Pam Anthony Recruitment – specialising in Executive Recruitment and Training within the Direct Sales industry. Pam Anthony Recruitment was the winner of the DSA Supplier Award in 2018, 2011 and 2008, adjudged the best of all the 60 or more accredited suppliers to DSA member companies. Pam had 18 years’ corporate experience in a variety of senior sales and marketing positions with direct selling companies including The Body Shop at Home, Matchmaker Parties Limited and 13 years with Avon Cosmetics UK & Ireland, before establishing Pam Anthony Recruitment in 2000, which she set up to recruit senior and middle management executives for direct selling companies within the UK and across Europe. In 2007 Pam gained a Diploma in Recruitment Practice and a post-grad certificate in Coaching and Mentoring. Sue joined Pam Anthony Recruitment in 2003 as Marketing Manager. She is primarily responsible for the Marketing Communications activity for the Company and in addition she handles all the Marketing candidates, vacancies and placements, plus the Company’s CV Design Service. Sue ensures that the office runs smoothly and that the service provided to Clients and Candidates alike is seamless and exemplary. Prior to that, Sue worked for 16 years in the Direct Marketing Industry, beginning her career with Yves Rocher – the No.1 cosmetics company in France – as Personnel Officer, before being promoted to Retail Promotions & Marketing Manager for the Beauty Centre side of the business in the UK. In 1998 she transferred to the Yves Rocher Head Office in Paris to work in the Image & Communication department, before returning to the UK a year later (with a much better fluency in the language!) to manage Yves Rocher’s mail order Customer Acquisition activity in the UK. Sue has undertaken a wide range of senior Marketing Communications consultancy work in different industries and brings this knowledge, plus her experience of HR Management to the Pam Anthony Recruitment business. The Direct Selling Association (DSA) is the national trade association for the leading companies that manufacture and distribute goods and services sold directly to consumers. As a Supplier Member we are bound by the DSA’s Code of Ethics, the cornerstone of their commitment to ethical business practices and consumer service. SELDIA is the European Direct Selling Association that represents and promotes the interests of national Direct Selling Associations and its members at European level. As a Service Provider we are bound by their Code of Conduct and Compliance. As Members of the IRP we are recognised as belonging to a professional industry that is committed to upholding best practice, world-class recruitment standards and providing the best possible service to clients and candidates. We have signed up to the IRP Code of Ethics and Professional Conduct which demonstrates our commitment to practising the very highest standards of principled and professional recruitment.